Giro’s new flagship helmet, Aether, uses MIPS Spherical, a two-part dual density foam that redirects energy during angled impacts. SCOTTS VALLEY, Calif. (VN) — Giro’s got a new lid for the all-rounders. The Aether shares the aesthetics of Giro’s Synthe MIPS. And while both helmets look sleek and fast, Aether is 20 grams lighter than Synthe (250g for a medium), and offers heaps of ventilation. However, it’s what lies underneath the outer shell that really sets the two apart. Giro’s four-year partnership with MIPS Technologies (Multi-directional Impact Protection System) enters a new phase by integrating MIPS Spherical into the helmet. You’ll probably know MIPS as the yellow plastic slip liner that helps to keep the head still during oblique impacts while the helmet rotates. This is MIPS’s entry-level protection system. MIPS Spherical is different in that the technology isn’t an additional element to the helmet; it is the helmet. It is a two-part dual density foam that redirects energy during angled impacts. In essence, the MIPS Spherical eliminates the need for the added slip-liner. MIPS’s inner shell technology reduces rotational forces against the brain and has arguably become the most notable safety advancements in helmets within the last decade. 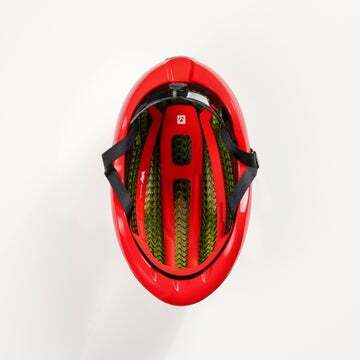 As is the case with most MIPS product options, the inner shell technology integrates smoothly into a helmet. A MIPS system adds 10-15 millimeters of movement across all three planes (X, Y, Z), so the rider’s head stays stable during oblique impacts while the helmet rotates. Giro first debuted a MIPS equipped helmet in the Fall of 2014. Since then, many of Giro’s helmets in its road line come in two options — one with MIPS and one without. Greg Shapleigh worked for Giro for over 25 years before he left to join the MIPS marking and sales team in 2017. Shapleigh explained that the two companies work together, but MIPS also tries to step back and have little influence in how Giro designs its helmets. 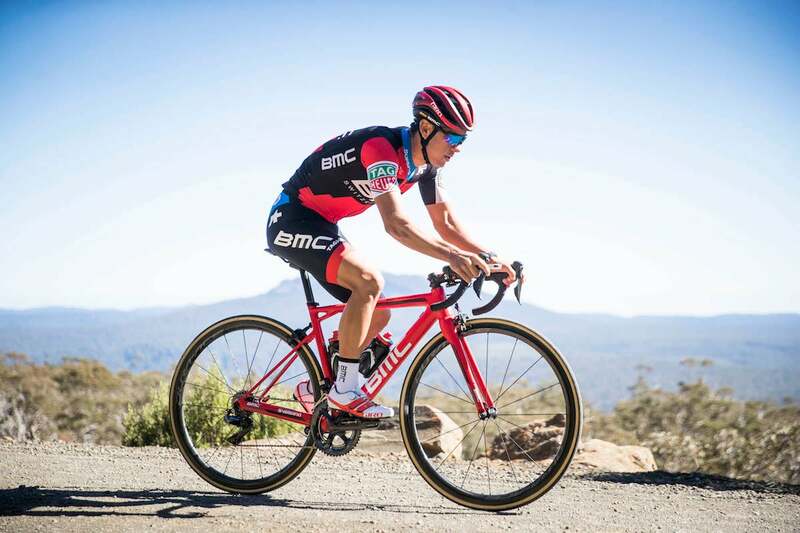 However, with the addition of MIPS Spherical, the relationship between the Swedish-based company and Giro has evolved. Giro used a nanobead version of EPS foam to create the two-part MIPS Spherical interior. Spherical is essentially two helmets rolled into one. (Bell uses a similar two-piece EPS design on its Zephyr helmet, now known as the Z20.) The nanobead foam gave Giro a bit more room to work with, allowing them to add foam into the nooks and crannies of the helmet, thus adding more protection. The complexity of MIPS Spherical forced Giro to get creative while designing Aether’s outer shell. That creative process started three years ago, not long after the launch of the Synthe. That may be why at first glance Aether looks a whole lot like the Synthe. Consider them siblings, but with unique personalities. Aether’s tough outer shell is constructed from six different polycarbonate pieces fused together. The Aether’s design focuses on ventilation and thermodynamics — vents run throughout the helmet to keep you cool. The vents ended up being wide enough that large objects were able to pass through during initial testing, which created a safety issue. To solve this, Giro created a translucent shatterproof AURA (Aerodynamic Ultimate Reinforcing Arch) designed to shield the vents. The AURA bridge not only prevents large objects from passing through the vents, it also provides additional structural integrity and allows air to flow through. Giro claims the Aether is two-degrees cooler than the Synthe MIPS. Lest we forget about the importance of aerodynamics, Giro provided data that showed the Aether was 2.4% more aerodynamically efficient than the Synthe MIPS. It’s not an aero road helmet, but all-rounders will still benefit from the streamlined design. MIPS Spherical is hardly noticeable when looking at the helmet. Looking closely, the red and the black sections show the two different pieces of the helmet. Photo: Giro Sport Design. The Aether was easy to adjust and fit snuggly with an updated version of Giro’s already best-in-class Roc Loc fit system. As a rider with a small head, I have found Giro helmets fit the most comfortable for me. The Aether was no different. 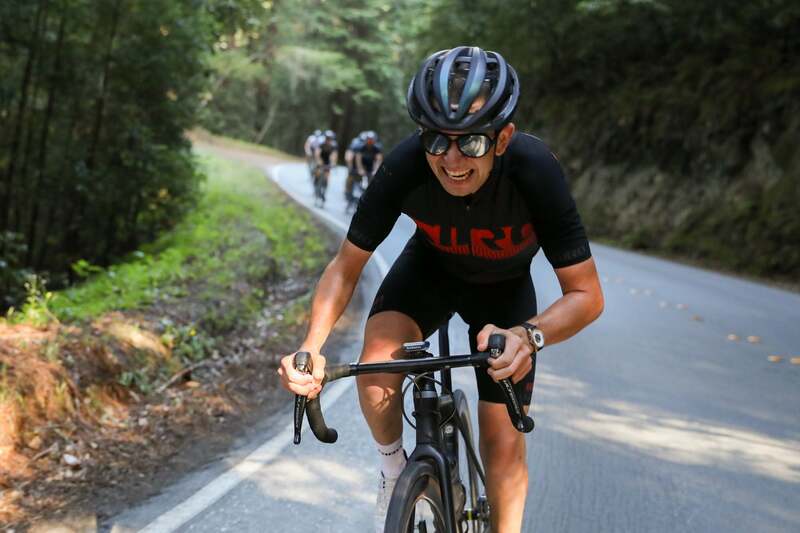 I had the opportunity to test the Aether on the hilly back roads of Santa Cruz, California, where the temperature ranged from the upper 80s in the late afternoon to the low 50s along the Pacific coast in the morning. To put it simply, the Aether is airy. Normally, with soaring temperatures and high humidity, my head drips with sweat, sometimes running down into my eyes. I had no such problems while wearing the Aether. In fact, during the occasional stop, I felt my hair to see if it was as sopping wet with sweat as usual. Not so with the Aether. While sweat will, of course, accumulate with any helmet, the Aether seemed to be so well vented that sweat dissipated faster. The downside to the Aether is the $325 price tag. With the Aether and its MIPS Spherical technology hitting the global market on August 1, Giro will be reducing the Synthe MIPS to $220. There will also no longer be offering the Synthe without MIPS. While MIPS Spherical is certainly innovative, it’s still up for debate whether MIPS is indeed safer. Since it’s impossible to test such technologies on live humans (doing so would, of course, run the risk of permanent injury or even death), we’re left with test data run on dummies in a lab setting to determine safety levels. And like almost all helmet manufacturers, Giro stays mum when it comes to the word safety, largely for legal reasons. That means it is entirely up to you to decide whether the advanced technology in the Aether is worth the additional $105 compared to the Synthe MIPS. But with a sleek, low-profile fit and excellent venting, there seems little reason beyond price not to hedge your bets. Giro provided travel and lodging for media attending the Aether press event.